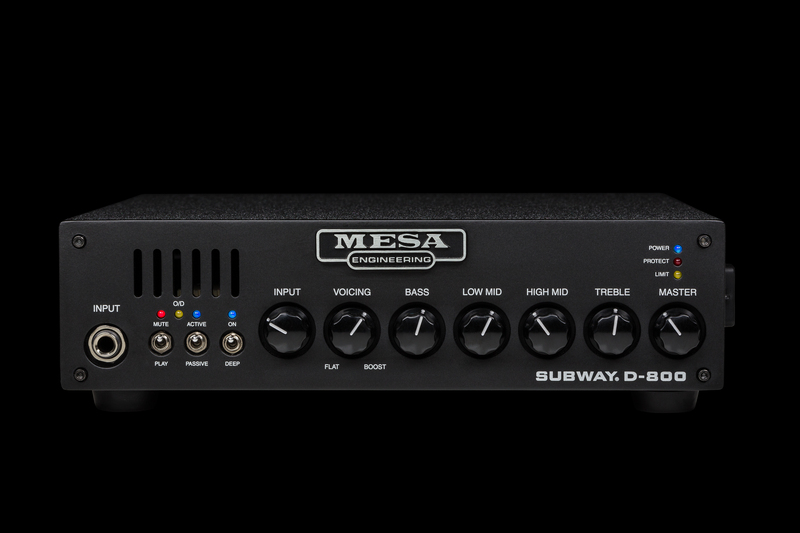 Introducing the Subway® D-800™, where MESA®’s passion for Design Excellence and Portability meet the demand for Great Tone in a simple, accessible package. 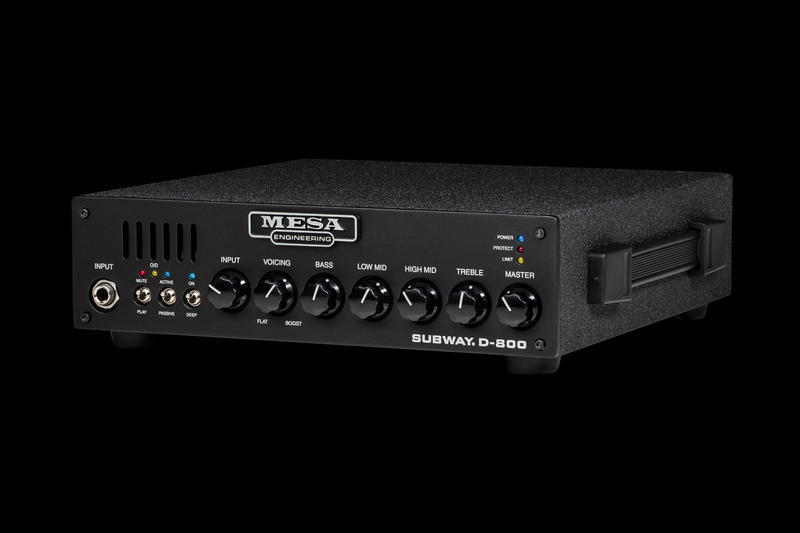 This first-ever-for-MESA ultra-lightweight, yet professionally power-rated Class D package for Bass boasts an easy to navigate, yet full-featured preamp with all the shaping control you’ll need coupled with a mighty 800 watt musical sounding, reliable, featherweight output section. The result is an amp that can command any venue from a small club to a large concert stage and anywhere in between, yet fits in the pocket of your gig bag! 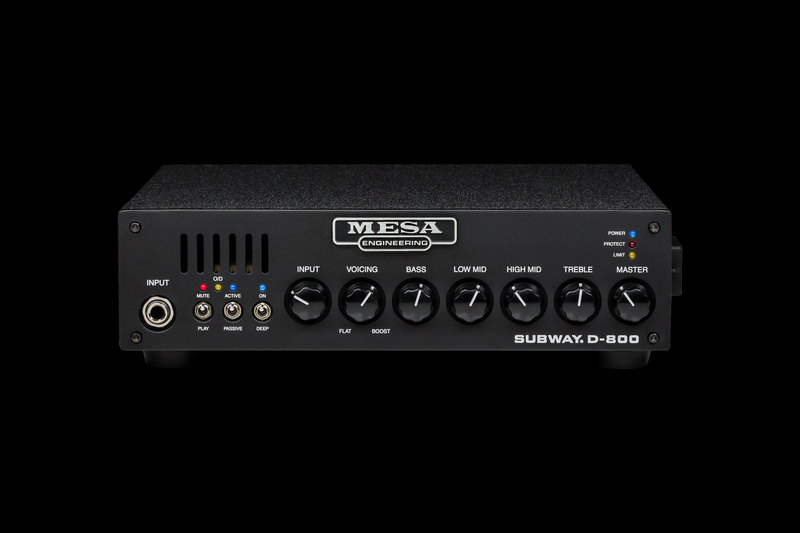 COMPACT POWER – At only 5.5 lbs., a little over 3 inches tall and 10 inches wide the Subway delivers 800 Watts of power to command any venue from a small club to a large concert stage, yet fits in the pocket of your gig bag! MUTE AND ACTIVE/PASSIVE switch allows you to tailor the input headroom to your instrument. The MUTE switch silences the signal from the INPUT jack to the SPEAKER output, HEADPHONE output and DI output for silent tuning. VOICE CONTROL on the SUBWAY D-800 is a continuously variable rendering that allows fine-tuning of your sound from a more “flat” response to a radically scooped midrange sound with the lows and highs boosted. HEADPHONE and AUX INPUTS are provided so you can enjoy the SUBWAY’s great sound without disturbing others. Further inspiration is available for solo enjoyment by connecting pre-recorded music, a sequencer or a drum machine to the AUX Input and playing to accompaniment while using headphones. DIRECT OUTPUT – A standard XLR D.I. 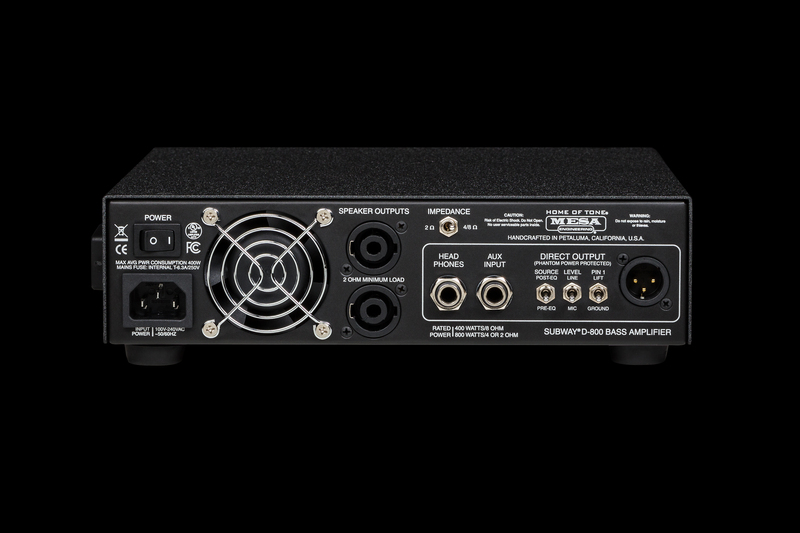 OUTPUT provides switching for pre/post routing, mic or line level output and a ground switch to aid in curing ground noise problems when interfacing with other gear.